Katy Rodolph Wyatt virtually exploded on the national scene in 1949. Her skiing career was nothing short of phenomenal, including a prolific record of national titles and membership on US FIS and Olympic ski teams. Katy Rodolph was born in Denver, Colorado on November 1, 1930. She began her skiing career during the 1944-1945 ski season. Four years later this 5’7”, 140# package of dynamite exploded on the national ski scene. Katy won the first National Women’s Giant Slalom ever contested under the National Ski Association banner at Slide Mountain in 1949. She also won the National Ski Association slalom, downhill and combined titles in 1951 at Whitefish, Montana and repeated the feat at Aspen in1953. Wyatt skied for the Sun Valley Ski Club in her competitive days. She was a versatile and fearless skier, about as technically perfect in all events as any American woman skier has ever been. This versatility and good technique helped her qualify for two Olympic Teams and two American F.I.S. Teams. Representing her country on the United States Women’s Olympic Team at Oslo, Norway in 1952, Katy placed a respectable 5th in slalom and 21st in giant slalom. She fell in the downhill, as did almost the entire women’s team, and came in 25th. She also competed on the 1956 Olympic squad in Cortina, Italy where, although she failed to place, she was invaluable in lending her expertise to younger team members. Katy’s results on the 1950 F.I.S. Team at Lake Placid were more commendable and satisfying. She came in 5th in the downhill, 8th in the giant slalom and 10th in the slalom. She was also a member of the 1954 F.I.S. Team which competed in Cortina, Italy. She was an excellent technical skier who coached her younger teammates while still on the competitive circuit. This unselfish attitude endeared her to all the teams on which she raced. Katy Rodolph Wyatt married a pilot and moved to Las Vegas, Nevada where they ran flying tours of the Grand Canyon. She died on September 17, 1994. 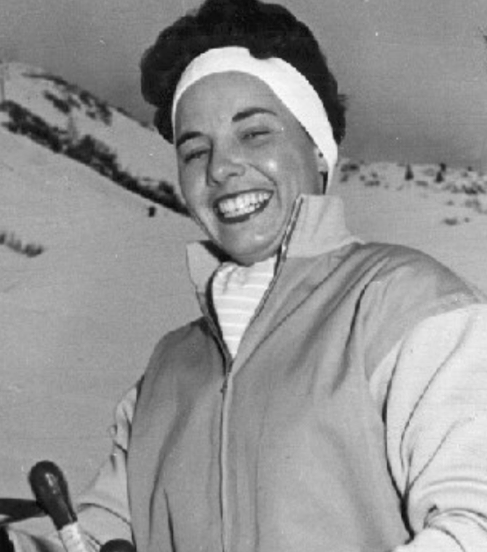 Katy was elected to the U.S. National Ski Hall of Fame in 1966. If you notice any errors or inconsistencies in Katy Rodolph Wyatt's bio, click here to let us know.